A delicious liqueur with distant origins, reinterpreted with a modern flair. It has been created through the happy union of D.O.P. fine red wine and natural juice from carefully selected cherries. It is excellent after a meal or at any time of the day while enjoying a break with something sweet. It also makes a fine accompaniment to pastries. It is best served cold or with ice to enhance the fruity aroma of cherries. 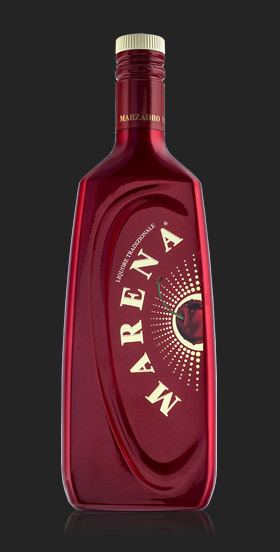 Marena is also recommended for use in original and stylish cocktails.